This entry was posted in Sustainable venture capital and tagged Sustainable venture capital by nancybocken. Bookmark the permalink. 1. in table 3, there is a reference to short-termist mindsets. (a) Who exactly is it that is said to have those mindsets? And (b) according to whom do they have these mindsets? 2. there needs to be clarity re. the definition of (social) venture capitalist. 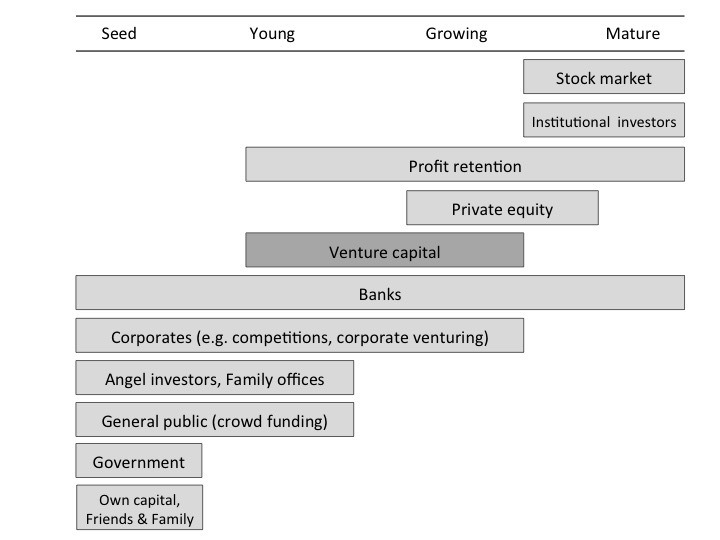 The paper tends to distinguish between (a) sustainable venture capitalist and (b) venture capitalist in general. But then there is a reference to ‘venture capitalists on accelerator programmes’: do these all come from type (a) capitalists or do some come from type (b)? It isn’t crystal clear. If they all come from type (a), it leaves open the question of how far these findings can be extended to venture capital in general. More fundamentally, my experience suggests that there is a major gap in research on this subject. For example, this specific paper does not deal with the theme of communication. Typically I’ve found an unhelpful ontological assumption behind such research: one that assumes that investors are reacting to start-ups as pure entities, or things in themselves, whereas for much of the time investors’ perceptions are mediated by the way the start-ups are communicated – for example, through presentations, pitches, and bids. The work of researchers such as Melanie Milovac is pertinent here: it indicates that a pitch that fails can sometimes, if written and presented differently, succeed. This certainly tallies with my own work helping people to obtain funds or win business. I suggest, therefore, that a further limitation of the research (by no means in this paper alone) is a lack of attention to how cases are communicated – the textuality and mediation involved – and that a further implication is that this merits further (multidisciplinary) investigation. There is a hint of this kind of thing in the comment from a financier about the ambiguity of the word ‘sustainable’ and the need for new language. How many entrepreneurs have heeded this point? Entrepreneurs need to speak to investors in the latter’s language before they can draw conclusions about what they will and won’t invest in. 1. This short-term mindset was reported by the investors I interviewed (predominantly, sustainable venture capitalists). They were actually quite self-critical. If investments don’t (appear to) pay off quickly, this is seen as quite a risky strategy. Hence, although they mention they typically have a more long-term view on their start-up investments than ‘conventional’ venture capitalists, they do look for clear ‘win-win’ situations, and a strong business case regardless of sustainability (27% of sample). This is their way to mitigate risks and still be able to invest in sustainable start-ups. 2. Some venture capitalists work for their own venture capital firms only and others spend most of their time working for accelerator programmes (supporting multiple start-ups through such programmes). I think this is the same for ‘conventional’ venture capitalists: some work only for their own firms, but others are also heavily (or solely) involved in accelerator programmes. In that sense, the results might apply to the ‘conventional’ venture capitalist context too. However, their investment thesis is not typically or predominantly focused on sustainability. To your point on research communication: I think it could have been quite helpful to reframe this research based on specific cases of ‘sustainable start-ups’ and the investment approach with regards to these. Then, one could have looked at the investors perspective and the entrepreneurs perspective of ongoing sustainable start-up/ investment cases. Within these, it would have been very useful to reflect on the theme of ‘sustainability’ too. However, because most were still in progress, it is understandable that it is (a) difficult to report on these, and (b) that it isn’t seen as a very favourable thing to report on these (e.g. barriers/ opportunities) so openly. A quantitative study about the number of entrepreneurs and investors in the sustainability space would also be most helpful. I’ve discussed this with colleagues in the past, but it still an important ‘future research’ (work to do!). Will have a look at Melanie Milovac’s work – sounds very helpful! Many thanks for these thorough comments.